Oceania Cruises has announced it will revamp its Regatta-class ships, the Regatta, Insignia, Sirena and Nautica. Dubbed OceaniaNEXT, the $100 million project includes a sweeping array of dramatic enhancements. Each of the 684-passenger ships will receive 342 new designer suites and staterooms, as well as new décor in the restaurants, lounges and bars. Regatta, Insignia, Nautica and Sirena essentially will become four new ships. 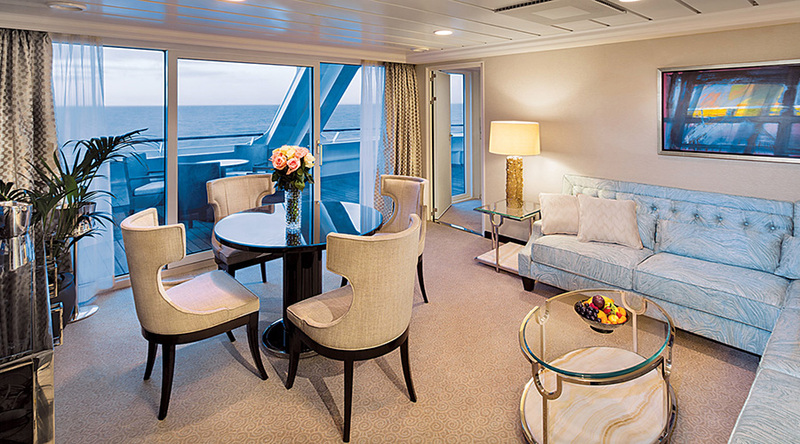 Every surface of every suite and stateroom will be entirely new, while the public spaces will receive a new color palette of soft sea and sky tones, fabrics, furnishings and lighting fixtures that encompasses the style and comfort of Oceania Cruises. Insignia will be the first to debut on December 7, 2018, followed by Sirena in May 2019, Regatta in September 2019, and Nautica in June 2020. Miami-based Studio DADO, which specializes in luxury residential and hospitality design, will helm the refurbishment. Using Oceania’s two newer vessels, Marina and Riviera, as inspiration, Regatta, Insignia, Nautica, and Sirena will feature well-appointed and stylish new interiors that showcase the best of residential design. Furnishings from Baker and Donghia, along with fabrics from Rubelli and Kravet will adorn the public spaces, with new richly-hued custom-milled carpets lining the floors. The Reception Hall and Upper Hall will get a new Grand Staircase with crystal accents and an overhead chandelier with hanging pieces of smoked and hand-painted glass. The Grand Dining Room will have cream leather dining chairs accented with metallic bronze threading, as well as a centerpiece crystal chandelier. In Martinis, the space will have a palette inspired by the Santorini coast, including Grecian blue, sienna, chocolate browns and pewter. Silver-white marble and tobacco quartz will accent the bar, which will be backed by walnut paneling. 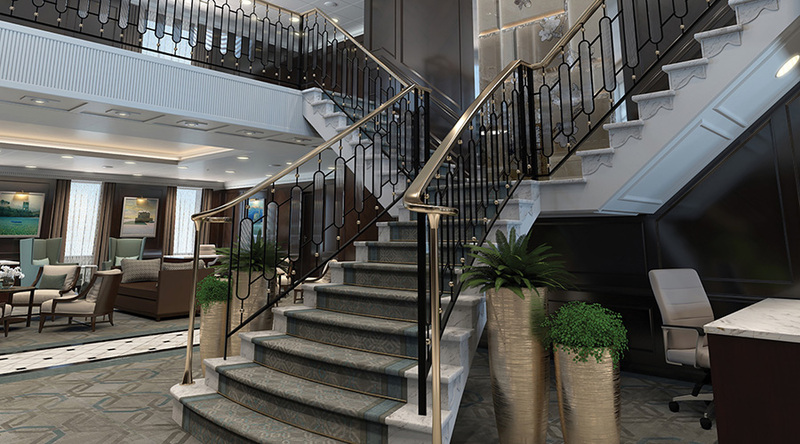 The new staterooms and suites will be lighter, brighter, and even more spacious, with custom-crafted furnishings, stone and polished wood finishes, and designer accessories. The rooms will also incorporate USB ports, as well as television systems with movies on demand in multiple languages, live stations and a program guide, itinerary information and weather updates. Every fixture and surface of the bathrooms will be new, with designer features, new lighting, lavish vanities and chic glass shower enclosures. Penthouse, Vista and Owner’s Suites bathrooms will feature even more space and be redesigned as true luxury retreats, outfitted with Carrara marble, polished granite and onyx. Oceania says its $100 million ship renovation program, which is being completed by more than 1,000 artisans and craftsmen will result in 1,368 new suites and staterooms, 1,400 new marble bathrooms, 8,000 new light fixtures, and 12,000 new sofas and chairs. Oceania Insignia, Oceania Nautica, Oceania Regatta, Oceania Sirena, ship refurbishments. Bookmark.